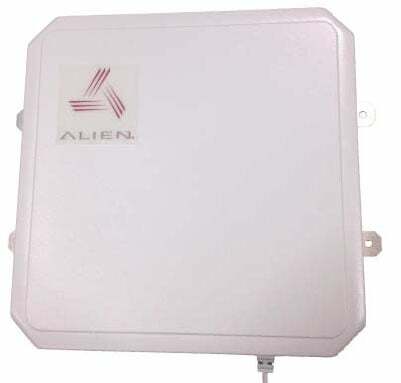 he Alien Technologies ALR-8696-C antenna is a circularly polarized panel antenna that provides reception and transmission of signals in the 865-960 MHz frequency band. The design methodology achieves maximum efficiency and performance across the entire frequency band and tag orientations. Both VSWR and axial ratios are both excellent and allow the user to achieve the maximum performance for an antenna of this type. The antenna is housed in a heavy duty radome enclosure that can be directly wall mounted. The Alien ALR-8696-C is also known as Alien Technology	ALR-8696-C	or ALR8696C	.